Wilburforce Foundation is a private philanthropic foundation that funds environmental conservation in Western U.S. and Western Canada. 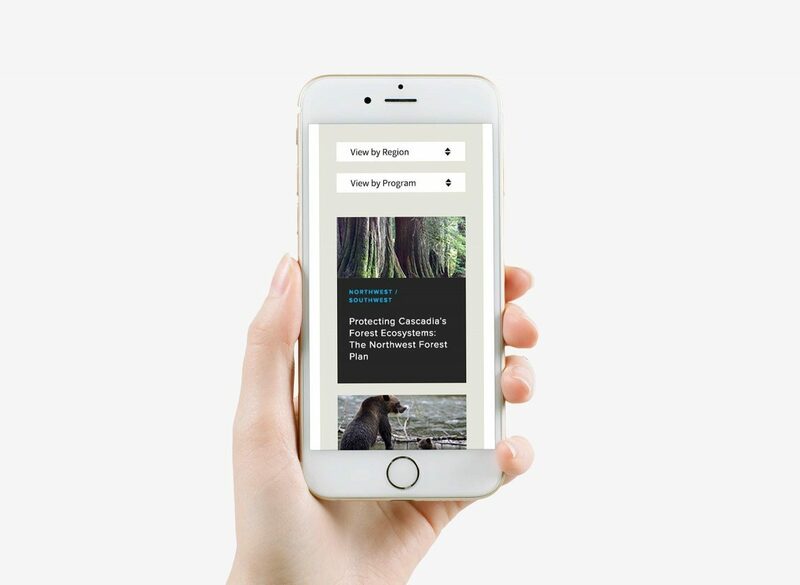 The ultimate goal of this website was to provide a place for people to learn about what Wilburforce does and feel connected to the wildlife and wildlands they’re working to protect. Our approach focused on big bold photography (actually taken from their current grantees and employees) and incorporated richer storytelling to shed light on the pioneering conservation work they do. 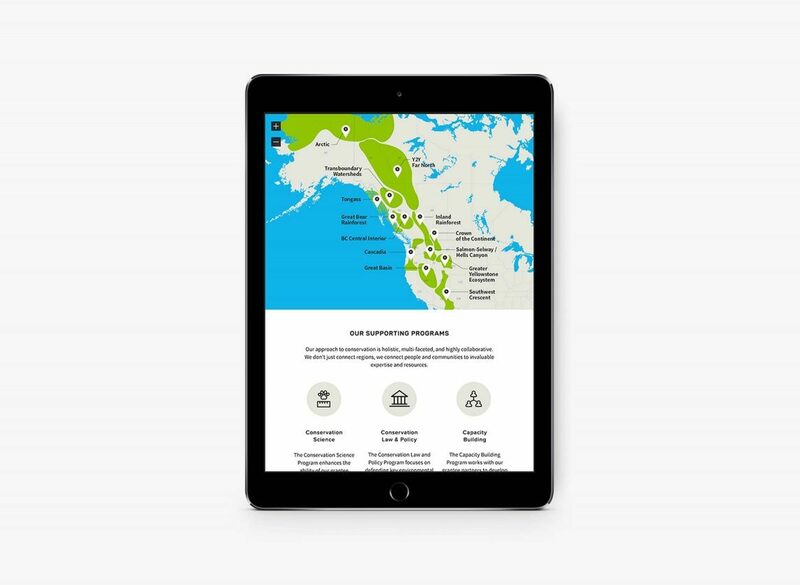 A simplified site architecture and clear, concise language throughout helped to demystify their mission and connect with a broader audience through their shared love of wild places. We worked closely with the Wilburforce team to organize and streamline the site, surfacing all of the important information, and stripping away dated or unnecessary content.